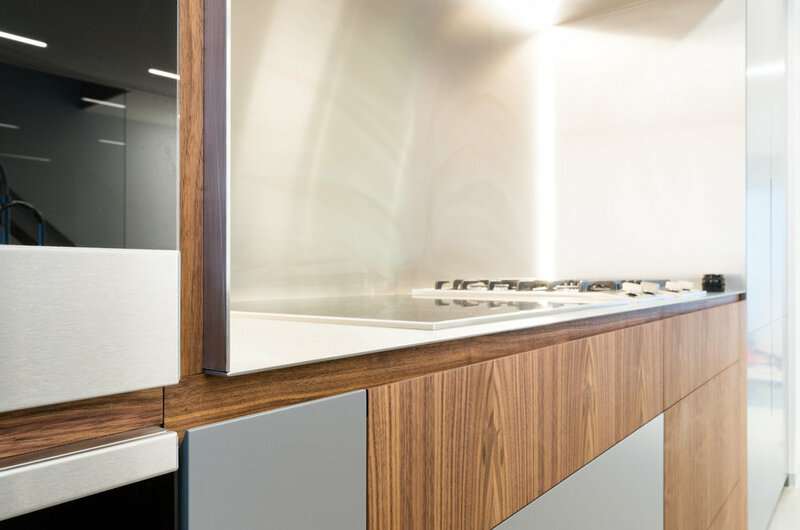 We fabricated this fully bespoke kitchen as part of a total refurbishment of a beautiful property in St. John's Wood. 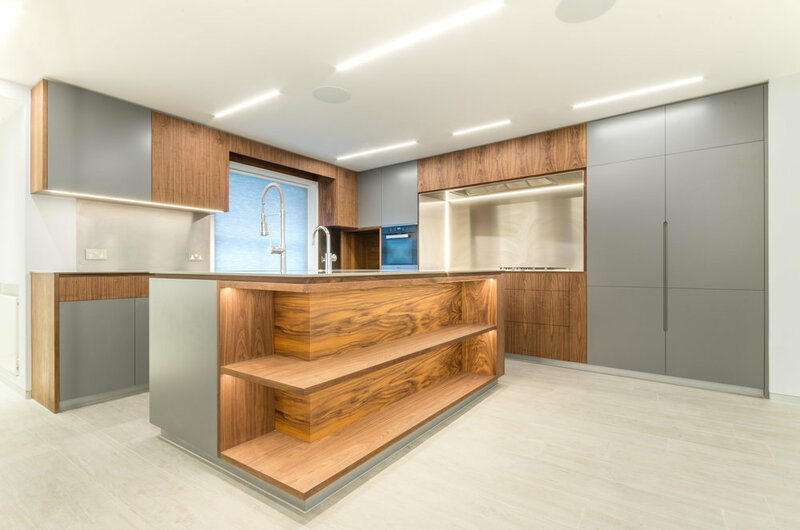 The angled floor plan made this a particularly distinctive design, as did the blend of American black walnut and sprayed elements. The worktops are Silestone and the hob surround is constructed from solid 3mm stainless steel.